The American Cancer Society estimates that there will be >211,000 new cases of breast cancer diagnosed this year and that >40,400 women will die of this disease. 1 Early detection is key to long-term survival for these women. Two new tools designed to assist the radiologist in making an early diagnosis have been introduced recently: The first computer-aided detection (CAD) system for breast ultrasound, and a new picture archiving and communications system (PACS) with a workstation designed to meet the requirements for soft-copy diagnosis of mammography. Cedara Software Corp. (Toronto, Ontario, Canada), a division of Merge Healthcare, recently received FDA approval to begin marketing the first CAD software designed specifically for use with breast ultrasound imaging. "Cedara B-CAD is the first breast ultrasound CAD product of its kind," said Sabrina Cannistraro, Cedara's Product Manager for Women's Health. "We developed it because we saw a need in the market. 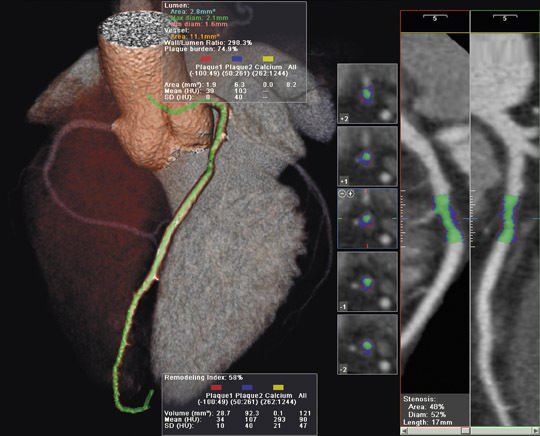 There are CAD products out there for mammography and for magnetic resonance imaging [MRI]-both of which are widely used modalities in breast imaging-but there was nothing out there for CAD for ultrasound." The company hopes that this new software will help reduce the number of unnecessary breast biopsies performed. "Typically, a patient will go for her regular screening mammogram," explained Cannistraro. "If something suspicious is found, she'll go either for diagnostic mammograms or for an ultrasound or, possibly, an MRI. Ultrasound is generally the standard modality used for making a 'biopsy versus do-not-biopsy' decision. Currently, roughly 1 million biopsies are performed in the United States each year, and 80% of them are negative. Therefore, we thought it was important to give radiologists more information at the point of ultrasound to help them make a better decision regarding biopsy." The B-CAD software provides automated segmentation, characterization, classification, annotation, and report generation for a defined lesion within a specified image. "The radiologist defines the region of interest, and the system automatically finds those characteristics and displays it on the screen," explained Cannistraro. The software places markers on the image and, on a checklist on the side of the user interface, checks those characteristics that have been found (Figure 1). The radiologist can accept or reject any of the checked characteristics based on his or her own interpretation of the image. The system can also provide its own suggestion as to whether or not a biopsy should be performed. "The radiologist obviously makes his or her own decision at that point," said Cannistraro. "CAD does not make the ultimate decision. But now the radiologist has a little bit more information with which to make that decision. All of this analysis happens within 5 to 10 seconds and can be done while the patient is still in the room." The system includes the option of adding annotations based on the Stavros criteria, as well as the American College of Radiology (ACR) Breast Imaging and Reporting Data System (BIRADS) Breast Imaging Atlas. The report form also supports compliance with the new ACR BIRADS Ultrasound Lexicon, which is expected to be adopted as the standard reporting format by the Mammography Quality Standards Act (MQSA). "This tool should facilitate acceptance and utilization of the ACR BIRADS Ultrasound Lexicon by radiologists as a standard upon which the foundation of CAD-enabled ultrasound can be built," said A. Thomas Stavros, MD, of The Sally Jobe Breast Center in Denver, CO. "Ultrasound CAD has many possible indications, including assisting radiologists in the analysis of solid breast nodules, which is a significant first milestone. This tool may improve a radiologist's interpretive confidence." "We can see how a lexicon was developed in mammography and is now required reporting procedure in the United States. In a similar vein, the ultrasound lexicon is increasingly becoming developed, but there are people who are having challenges with identifying all of the unique characteristics that are identified in the lexicon and they aren't overly familiar with it," noted Kevin Clark, Manager of Marketing and Product Communications, Merge Healthcare. "Consequently, B-CAD acts as an excellent training tool and a reminder of all of these different elements that need to be taken into account to read breast ultrasound. Breast ultrasound can be a challenge to report. Being able to identify all the different characteristics of a lesion or calcification is very important. But it is also getting the specifics-being able to look at the topography of the actual lesion-that is a key factor that a lot of people are missing out on." The system, which is expected to be commercially available in October, will be offered in several configurations. It will be available as a component that can be integrated into any DICOM-compliant workstation or ultrasound system, or as an installed feature on the Cedara I-ReadMammo workstation. The company also plans to offer the software to the OEM community, allowing other companies to provide B-CAD as a feature on their PACS or ultrasound systems. Manager for Women's Health and Oncology, Kodak's Health Group. 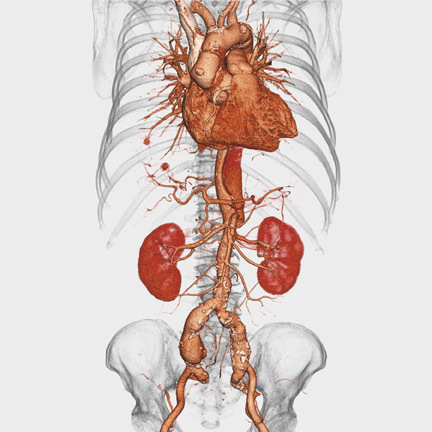 "Until now, most PACS workstations have used 3 megapixel (MP) monitors with software designed for viewing general X-rays, computed tomography [CT], and MRI. All the tools and hanging protocols have been set up for those types of examinations. The new diagnostic workstation for mammography includes 2 or 4 5-MP monitors-which the FDA has required for proper viewing for diagnostic and screening mammography-and has hanging protocols and tools that are specific for digital mammography." "This new workstation can not only display images from different modalities (such as ultrasound, MRI, general X-ray exams from a computed radiography or digital radiography system, and CT), but it can also show images from all of the full-field digital mammography systems. It is completely vendor-neutral," continued Hasselkus. "In a very busy hospital, the mammography department is usually quite space-constrained, so the ability to have one workstation on which you can view all of those different modalities is really quite helpful." The DirectView PACS System 5 for Mammography platform allows PACS users to integrate digital mammography examinations into general radiology workflows. It provides all users with immediate access to current patient images and information with seamless radiology information system (RIS) integration via a brokerless HL-7 interface with worklists and RIS data displayed on a flat-panel administrative monitor. In addition to the PACS systems, Kodak also markets an enterprise RIS solution and is expected to release a second RIS designed specifically for imaging centers soon. "Features that are specific to mammography, such as BIRADS reporting capabilities, are built into the imaging center RIS and are available as an option on the enterprise RIS," noted Hasselkus. "So we'll have an integrated RIS/PACS solution that we will be able to offer to customers." Technology and Industry: Computer-aided detection for breast ultrasound and new PACS for mammography. Appl Radiol.